Pokémon Go’s big water event started today, and it holds a cool new surprise: shiny monsters. 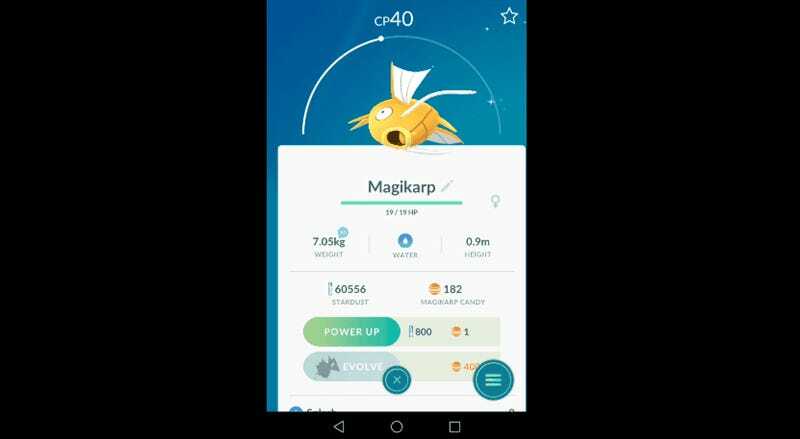 Behold, Pokémon Go’s first shiny monster is none other than the beloved and slightly useless Magikarp, as you can see in this footage by Fabien Parent. As it is a shiny, Magikarp appears in a golden color, rather than the usual orange. 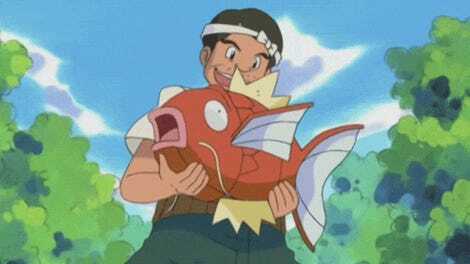 Once evolved, that golden Magikarp turns into a shiny red Gyarados, provided you have 400 Magikarp candies to spare. Awesome. I want one of those! In the main games, “shinies” are extremely rare, with only about 1 in 4,000 monsters appearing with a special coloring. We don’t know how common shiny Magikarp will be during this event, or when the rest of the cast will be available in a special shiny variety, though it would follow that they’ll be pretty hard to find, too. Guess it’s time to become a shiny hunter IRL, near beaches and bodies of water.